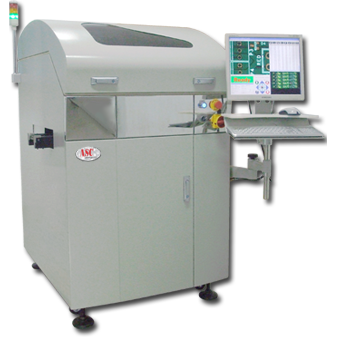 Manufactures a portfolio of optical-based solder paste measurement systems, Automatic Optical Inspection (AOI) systems, process control tools and production equipment. 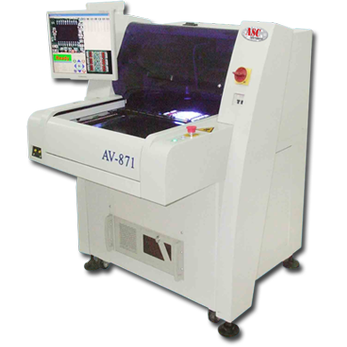 AV871 Series - ASC International, Inc. The AV871 Series of AOI solutions from ASC International builds upon the industry leading AV862 Series with the addition of a larger platform to manage oversized boards. Accepting boards as large as 22" x 26", the AV871 Series meets the needs of those companies requiring large board capacity. AV862 Series - ASC International, Inc. The AV862 Series of AOI solutions from ASC International provides manufactures with a solid platform to validate the overall variables associated with component placement. 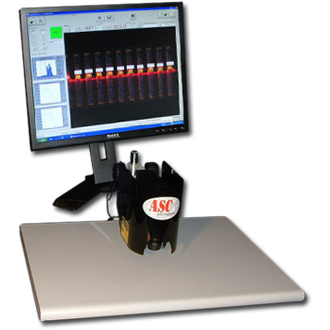 Absence / presence, polarity, OCR, solder inspection and lead quality can all be detected with low false call rates. Offered at a price, too good to be true. Call Today and Start Believing! 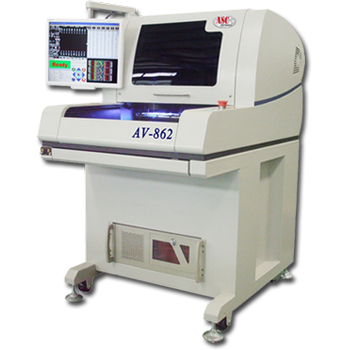 AV880 Series - ASC International, Inc. The AV880 Series of AOI solutions from ASC International provides the same high level inspection capabilities as found in our AV862/AV871 Series of AOI systems all wrapped into an inline platform for continuous flow requirements. A price to performance ratio sure to please those looking for a quick ROI. SE Series - ASC International, Inc. 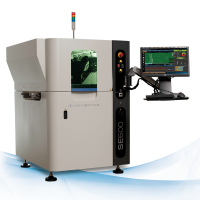 The CyberOptics SE Series offers the most accurate and repeatable, high speed 3D solder paste inspection in the market today. Utilizing the most advanced sensing technology, CyberOptics SPI products will provide manufacturers the reliability needed to compliment your overall screen print process improvement strategy. VisionPro HSi - ASC International, Inc. 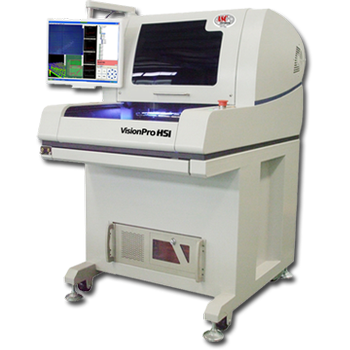 The VisionPro HSi offers high speed solder paste inspection. Utilizing the most advanced high resolution staging and sensor technologies, the VisionPro HSi provides the accuracy and reliability needed to compliment your overall screen print process improvement strategy. LineMaster FUSion - ASC International, Inc. 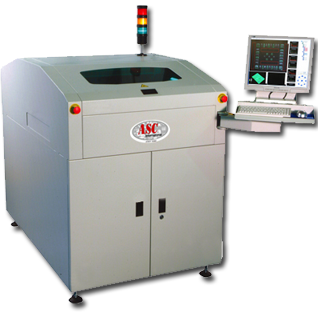 The LineMaster FUSion is ASC International''''s inline offering for high speed solder paste inspection. Focusing on a solution for those manufacturers seeking a lower cost alternative to more expensive inline systems, the LineMaster FUSion provides the needed speed and capabilities required to meet the increasing demands of the screen printing process. LaserVision SP3D Mini - ASC International, Inc.